Who are those two in the middle? Backstage ABC Cinema, London Road, West Croydon, Surrey. 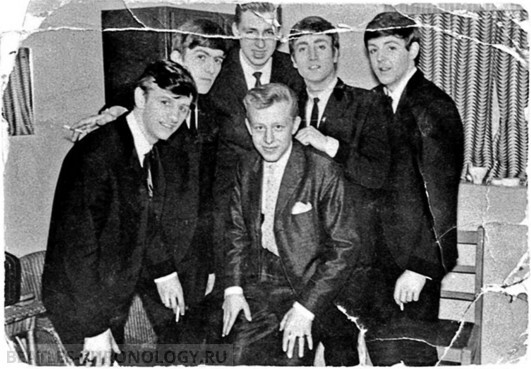 The Beatles with Swedish photographer Jan Olofsson (front) and his friend Tommy Green. Thanks for the pic ID info, Alejandro. Most welcome.